I must have made a good enough impression at TFM Radio as I was offered a job even before the end of the 4th year of the course. I worked for the company for three and a half years, but having worked through a studio refit and then a move to another building, with the project work drying up and the future work looking to be mainly routine maintenance, I decided it was time to move on and pursue my desire to work abroad, and oh did I achieve that! I was lucky to find employment as a broadcast engineer with the British Forces Broadcasting Service (BFBS), which is part of the Forces charity the Services Sound and Vision Corporation. I was dispatched to work in Cyprus for a couple of years, then to Brunei for three years before returning to Cyprus as Engineering Manager. 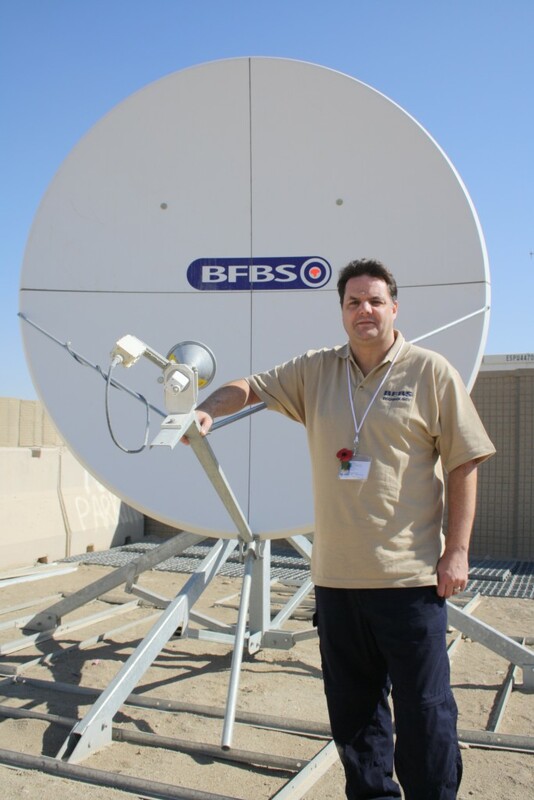 Working for BFBS had certainly broadened my broadcast engineering experience, I was still working with radio studios, which was my initial passion, but now I was also engineering transmission systems, satellite systems and IT. In 2001 reality caught up with me and I had to leave my ex-pat life in the sun to take up the position of Operations Manager in the UK. 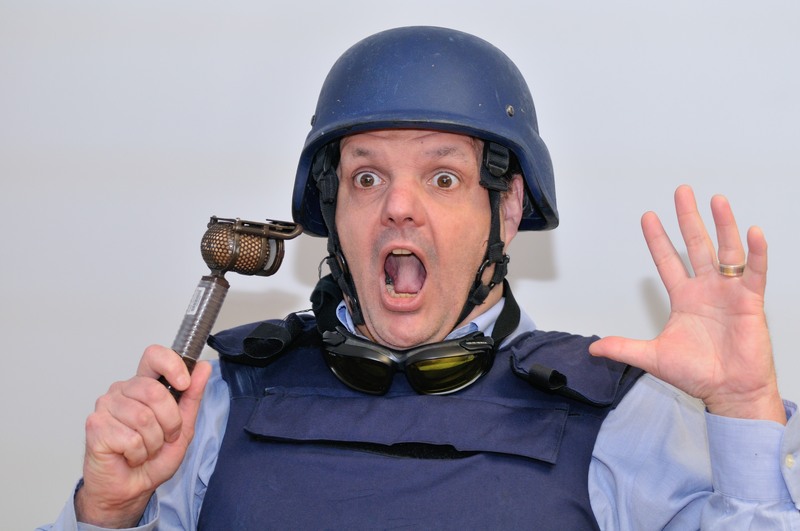 This pretty much coincided with the British Military moving into Afghanistan and Iraq, and where the British military go BFBS TV and Radio services are not far behind, because BFBS Radio and Television services are seen as absolutely vital to troop morale. These last 15 years have been an extremely challenging and rewarding period for BFBS and for me personally. We have established radio studios and transmission systems in Iraq and Afghanistan, and seen the systems evolve over this time from a single TV service on analogue transmitters, to a multi-channel ‘Freeview’ style digital television transmission systems. 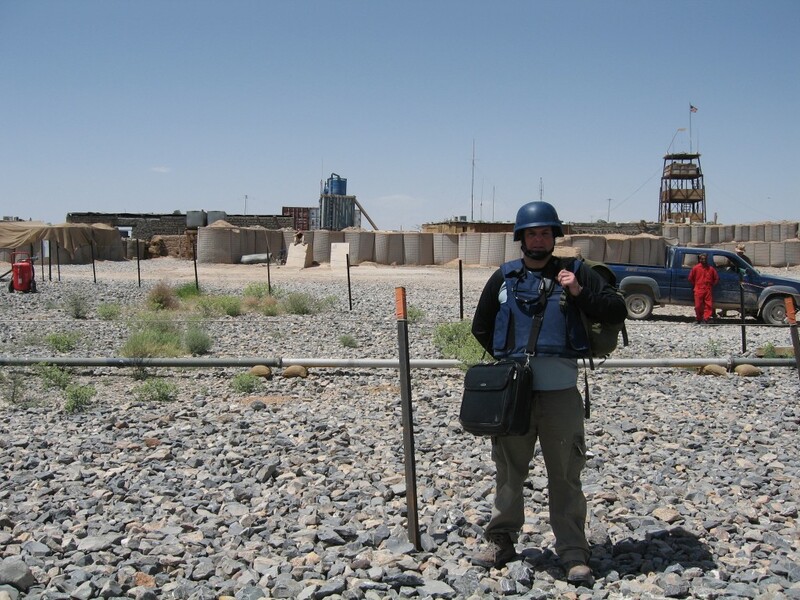 I have been quite literally all over the globe with BFBS, and although some of the locations are a bit austere and hazardous, all of the places I’ve visited have been interesting, and providing a necessary and valued service to the British Forces gave me huge job satisfaction. I have often been told that we should write down some of what we get up to, and that the more adventurous and hazardous the stories are, the more interesting people will find them. So I have done exactly that.